The state of Piauí is almost completely situated in the Parnaíba Basin. The northern part of the state is low and marshy, while the south (which is inland) gradually becomes a high plateau. The main rivers and waterways that feed this plateau include the Poti, the Longa, and the Canindé. Between river valleys are flat-topped highlands called chapadas. The marshy areas of the south are low in nutrients, yielding low evergreen forests that can handle such compromised conditions. Piauí has the shortest coastline of any coastal Brazilian state at 66 km (41 mi), and the capital, Teresina, is the only state capital in the northeast to be located inland. The reason for this is, unlike the rest of the area, Piauí was first colonized inland and slowly expanded towards the ocean, rather than the other way around. 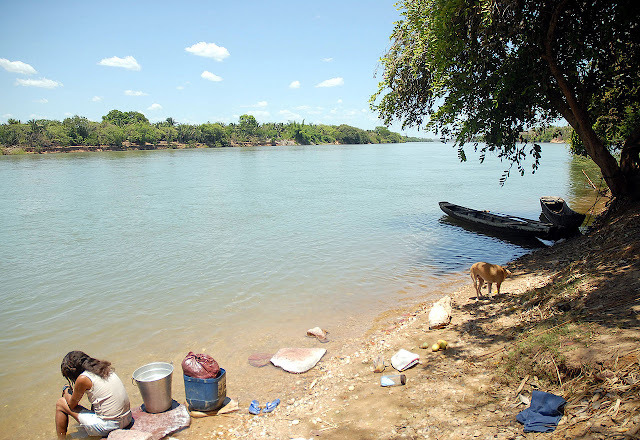 In terms of its economy, Piauí is one of the poorest states in the country. The services sector, industrial sector and agricultural sector makes up the state’s major GDP contributions in descending order. Its exports play a major role in the economy, and include essential oils, soybeans, cotton, cashew nuts, certain seafood and leather. A need to concentrate on tourism has been identified in an effort to attract visitors to the country, which is so rich in cultural and historical heritage. The state has many notable archaeological sites, including Serra de Capivara National Park and Sete Cidades National Park, which are rich in remains of prehistoric Paleo-Indian and sedentary-based Indigenous Brazilian complex cultures. the National Park of Serra da Capivara is a UNESCO World Heritage Site. 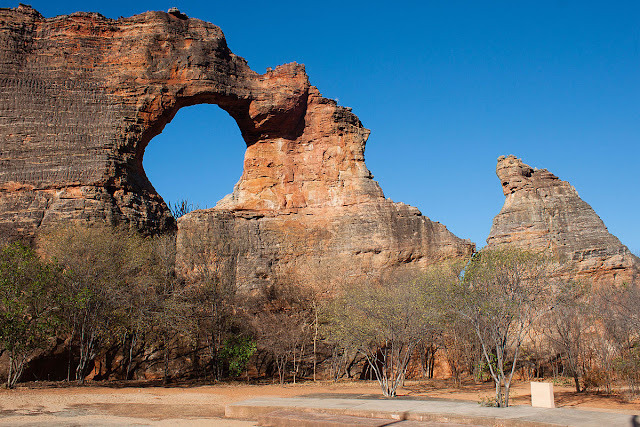 The park has more than 400 archaeological sites and the largest concentration of rock paintings in the world, in a landscape dominated by canyons and caatinga. The state of Piauí (pronounced Pea-ow-ee) is one of Brazil's best-kept secrets. It is difficult to get there, but the visitor is rewarded with perhaps the most untouristed place they will ever see. 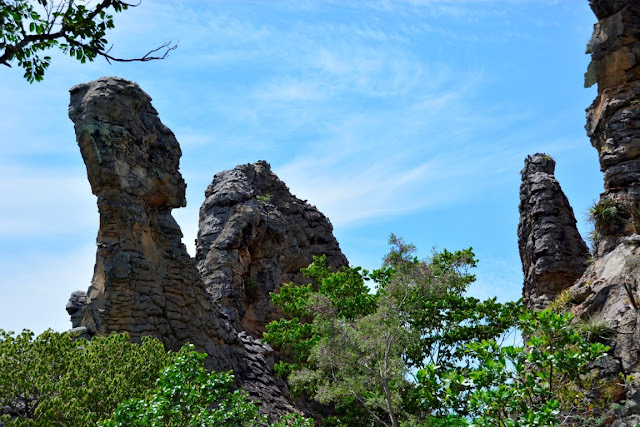 Piauí is the only Brazilian state to have three National Parks, and it borders two more. Piauí suffers an image problem in Brazil. It is seen as the stereotypical hot, poor northeastern state. Many guidebooks are infected with this prejudice. The good news is that this keeps the tourist hordes away. Piauí is the traditional Brazil. A land of cowboys, religious pilgrimages and unspoilt nature. The state is poor, but the crime rate here is a fraction of that in Sao Paulo and Rio de Janeiro. Most people have never spoken to a foreigner. The early Portuguese settlers refered to Piauí as "Beyond Nowhere". A 1760 map of "Piauhy" by Henriques Antonio Gallucio reports much of the state as being "land which hasn't yet been explored". This was about two hundred and fifty years after Portuguese colonization. Famously, the Brazilian government once omitted the state from the official national map. It is a place for travellers, not tourists. The northern coast has a large river deltas, a haven for birds and manatees. This coastline is starting to be discovered by kiteboarders and surfers. The National Parks - home of jaguars, anteaters and giant armadillos - contain incredible cave paintings and perhaps the earliest evidence of human habitation in the Americas. Cashew nuts are believed to originate in Piauí, and even today the state is a massive producer.